Each quilter, ever mindful that many of her neighbors, friends, and family members are struggling through difficult times, uses her creative gifts to alleviate their collective burden. As the week unfolds, the quilters respond to Sylvia’s provocative question in ways as varied as the life experiences that drew them to Elm Creek Manor. Love and comfort are sewn into the warm, bright, beautiful quilts they stitch, and their stories collectively consider the strength of human connection and its rich rewards. Thoughts: There are no surprises with this series - which is a good thing. Every now and then you need a book where you know what you are going to get - familiar characters, happy endings, solid writing. 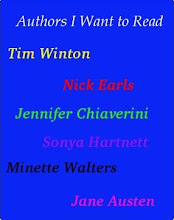 Opening and Elm Creek Quilts novel is like catching up with old friends. 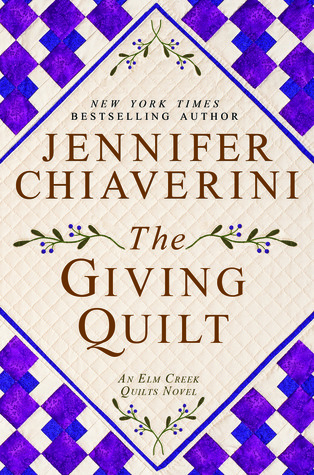 In the Giving Quilt, Chiaverini takes us through the stories of 5 campers who have come to Elm Creek for the annual Quiltgiving - a camp aimed at making quilts for Project Linus. (A real life charity who delivers handmade blankets and quilts to children in need) Each camper has a story to explain what lead them to Elm Creek and each share in the healing qualities of time with like minded people. One of the things I love about Elm Creek novels is the camaraderie it highlights that comes with quilting. Through quilting I have made wonderful friends who share a passion for fabric, thread and time at you machine! While we now share stories of family, children and work, quilting is what bought us together in the first place. Elm Creek captures that idea of shared passion so well.